Designed specifically with hospitality in mind. It's flexible to all different types and sizes of business. Behind the scenes is a security hardened database of all your most valuable data. 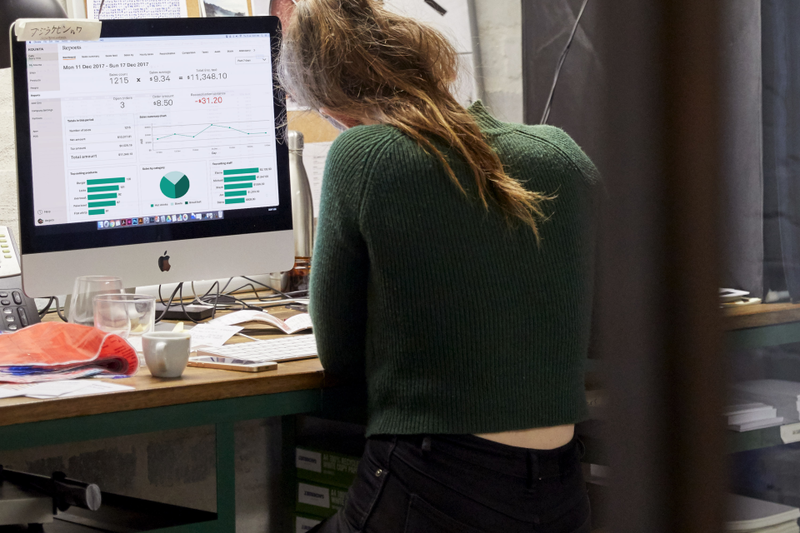 You'll get the same kind of big business reporting and analytics tools for all your stores backed up, as everything happens. And it runs on anything: iPad, Android, Mac, PC or even legacy POS hardware, a fully featured, always available, mobile POS. 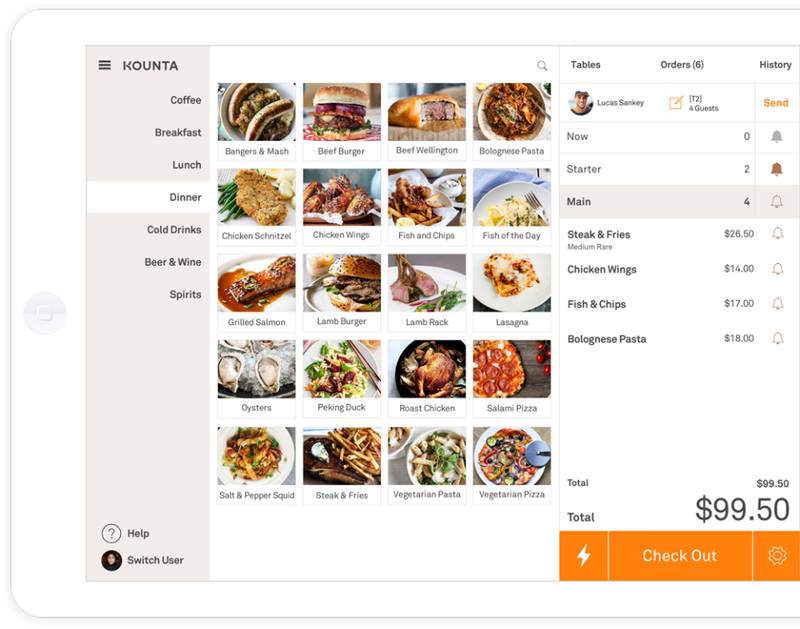 Kounta Point of Sale Reviews Recently Reviewed! Cons: The back end of product input is a little cumbersome - a simply category/sub-category/sub-sub category system works best. 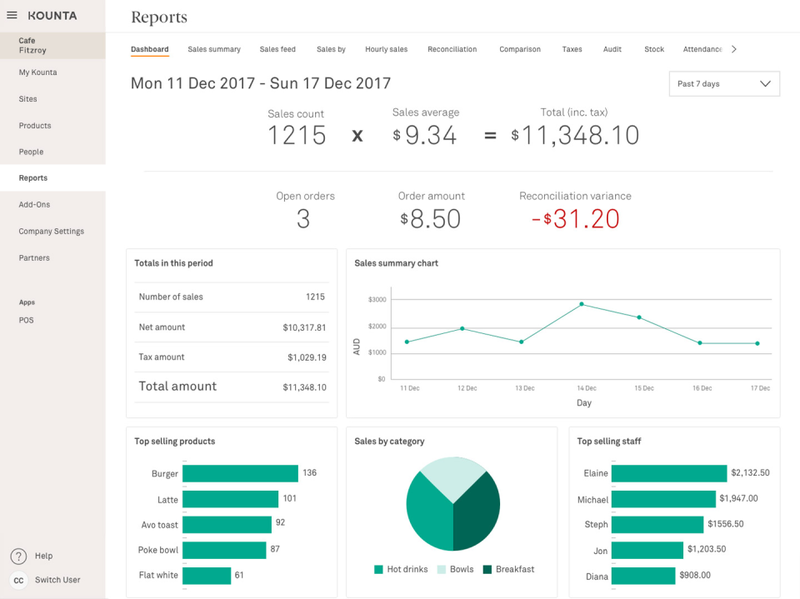 Sometimes this is represented by Department/category/sub-category either way, it is far more flexible for product input, button organisation and more granular for reporting. Overall: Kounta as a POS system has been able to grow with us, providing flexibility and ease of use that is a massive relief when you have the pressures of an expanding business to contend with. Comments: I am a cloud integrator and have implemented a number of Xero + POS add-ons. 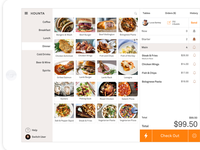 I select Kounta for my customers purely on its hospitality focus and it's table management add-on. I have been really impressed with how it handles the concept of modifiers and how smooth the integration is with Tyro electronic payments. Pros: Great easy system to use. 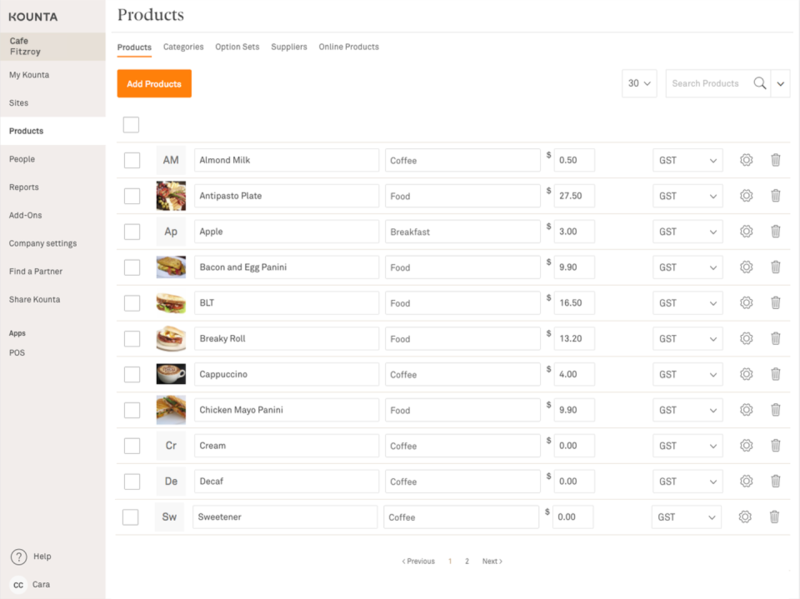 Easy to change payment methods and products and downloading and updating on excel also possible. Just starting to sync with Xero so that's good too. Customer support really has improved massively since we started using it 2 years ago. I would recommend as a good all rounder. Cons: Reporting in close detail has been a tricky one but with Kounta insights it seems to be improving although I think it's still work in progress. Pros: The ease of use, and the simplicity of the screens. 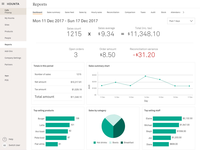 Overall: While originally using a completely outdated and problematic POS system, we were put in touch with the team at Kounta. They were explained as being the most genuine team in the business, but always on hand to help and with a system which really spoke for itself. Recommendations to other buyers: Really give the reins over to these guys, they know what they're doing and they are experts in setting it up for you to use with absolute ease. Pros: Overcomes the issue of staff not being able to read or do any math. Cons: Takes ages to set up if you have hundreds of products and options......but it is worth doing. Overall: We have found Kounta to be excellent for our cafe. Staff need no maths skills to operate it easily. 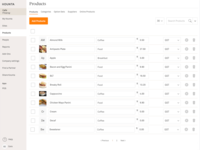 the addition of photos makes product selection fast and accurate. Recommendations to other buyers: It would be great if the register users name was printed on all production receipts and the Bump. Pros: The sales transaction from start to checkout is great. The printing of customer orders in multiple locations plus the kitchen. Modifier are also the best in the market. Pros: Can manage from anywhere. Easy to update products on prices on the spot. Great reporting and crm. Love that you only have to use functions that you require. Cons: I would like to be able to view only POS from device which is not assigned as register. Also, not sure if already available, but we would like to be able to process gift certificates through the till easily. Pros: Ideal for hospitality..providing hospitality POS solutions that were once considerably more expensive. Understands the Australian market. Great customer support. Was having a problem at 7:30 am on a Saturday morning and got an immediate response from a real human. Big ticks for that! Easy to update and maintain. Cons: a little bit steep for a new business. But overall a great piece of software..the retail capacity is limited but works well for a cafe with a few retail items. Comments: DO NOT WASTE YOUR MONEY ON THIS!!! MOVE ON TO THE NEXT! Pros: Nothing to say here. There is nothing good about this system except for the promptness of my customer service, who usually has bad news. But as I now understand my customer service rep doesn't ACTUALLY work for Kounta, she works for the company that sold it to me. I wish they would have sold me one of their other POS options. Cons: Server level order control is an upgrade, they don't tell you that when purchasing, even though that is one of the most basic things. Check splitting is the most laborious I have ever experienced, if you have a table that needs multiple splits get them a refill of their coffee because it will take a while. No over all system close out, no way to re-open a check. In lieu of that simple option they have a refund button, but, guess what if you had multiple pay types IE Cash and CC that doesn't work, can only refund whole amount to one pay type, which then screws up the server report(one of the biggest reasons to have a POS system) Integrated credit card system has worst customer service ever. If you need to get someone after 9 good luck. Randomly loses checks! Have no idea how that happens but if you are on a check and the system reloads(which it does a lot) bye bye order! Overall: Kounta is the best point of sale. Pros: It's ease of use is the most compelling feature. The reports are reasonably comprehensive too. Great for a hospitality start-up. Cons: There are occassional troubles with printing, where the software somehow loses the fixed IP address of a printer. This is usually temporary, however. It's need to be connected to the Internet is also a con. Whilst it works a little offline, it does become unusable quickly. Overall: Ease of use. Good reporting. Pros: Kounta system is very smart and easy to follow. Cons: * It seems a little pricy, we are in NZ and it's in AUS dollars excl GST. Pros: It's capacity to review a day's sales or last week/ year! Overall: Running a sweet shop can be very busy with lots of products. We love kounta - it works for us and we find the reports and sales by information invaluable! Pros: The support and customer service. It is no use to have an excellent product and the user don't know how to use it. Kounta matches their excellent product with excellent support. Cons: I have not anything negative to say about this product. Overall: I am new to the hospitality industry and there is so much to learn and I need to learn fast. Kounta's excellent customer service and support has helped me tremendously to streamline my sales and to look professional. With so much to learn in the beginning, it was comforting to have a friendly voice always on the other side of the phone to assist me , and all the staff at Kounta have always been very patient with me (when I don't understand). Service like this is rare, and I absolutely appreciate it. I will always be loyal to this Company and will recommend it to everyone. Kounta has a fantastic product and they have the support to match it in order for you to utilize your products to the fullest and get value for your money. Thank you for a great product but even greater customer service and support! Pros: It interfaced with our existing Albert and IT setup at the Cafe. Our staff quickly adapted to new methods for operating and recording sales. The interface is reasonably intuitive and the videos help with any learning gaps. Cons: Some of issues that irked me. 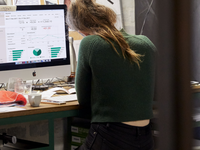 Overall: I am able to better analyse my business performance and make real time decisions. Pros: Cost effective , easy to train new staff, easy integration with our accounting system. Cons: Service can be effected when the system goes offline. This can also effect cash up as when the system is offline you are unable to process accounts. Comments: Product is good but not all encompassing. Overall: As our venue is a social enterprise employing people with a disability and or mental health issue, we require a user-friendly POS that can assist with Literacy and numeracy while being an overall easy to use system. Pros: Simple Setup, Easy to train staff to use. Staff were familiar with the software and were happy to jump in and take orders at busy times. Instant reports are really great! Cons: Cloud based software will always let you down when you're flat out busy. Murphy's Law! Maybe some way to operate and upload at the end of each day would be an answer. Overall: Up and running quickly with great support. Please reach out to support@kounta.com for a session on our system. Overall: New to Kounta - i have found it an intuitive program whichh makes it easy to use and learn all the features it offers . 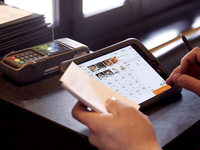 Pros: Being a Hospitality professional for 20 years I have dealt with numerous POS systems. Kounta is relatively straight forward and has the functionality and flexibility to run your business with ease. The support offered by Kounta day and night has been at an exceptional standard. The understanding and support during setup, implementation and to now has been a suprise in this all to modern world. This holistic approach will keep Kounta ahead of the pack for quite some time. Cons: Some of the language with respect to Hospitality is not not necessarily how we refer to how things are done in my experience however it is only a minor issue. Kounta is by far the best software i have used. Cons: i would like afterpay or zip pay to be available. i feel like we are loosing a lot of business because these arent available. Overall: Simple, functional, easy for any age to use, amazing features. I find Kounta really easy to use and they have simplified it enough for my mum to use as well. she isn't overly tech savvy! Pros: Ease of use for our volunteers has been a godsend. Back of house statistics, reporting and stock control make life so easy for our Providore and Treasurer. We now have mobile fingertip management of all aspects of our operations which is sensational. Within 14 days of introduction from our previous "cash only" operations we are exceeding 40% of transactions being on EFTPOS with functions running over 90%. Overall: It has literally transformed our business model into a user friendly (especially for our team of volunteers who are mostly over retirement age and not accustomed to technology), dynamic management system that provides improved stock controls and incredible reporting for our management committee. Pros: Everything I need to about how my sales are performing is all set up for me, giving me better understanding of my business and how to keep it performing well in the future. Overall: Reliable, easy to set up software. Kounta has helped my small business grow through freeing up my time thanks to an easy to use point of sale and inventory system. Comments: I love Kounta and think it is and has every potential to be the most easy to use and efficient POS system on the market. Pros - VERY well priced and the customer is growing their business along with the growth of Kounta as the updates arrives. It is a simplified well and truly easy to use software. That is the best selling tool for any small businesses to digest and implement asap. Cons - As Kounta gets busier, the online support I find is starting lag a bit. 2 years ago when I was a customer, I used to get a response to my questions within minutes. Now as a Kounta Partner more like anywhere from 1 hour to next day. Updates usually also seem to come with glitches so seems like more testing needs to be done prior to launching the update. Overall a great software for small business owners and now its time to allow the software to be integrated into bigger venues that requires more functions! Thanks for the honest feedback as a long time Kounta user this is great for us to learn from. We're working hard to ensure an improving all round experience for customers and partners alike as we grow! Pros: The software is fine, it is a POS it doesn't do anything better than a server based 'traditional' system. The positives of KOUNTA are the tablet based interface, competitors such as IMPOS are too lazy to adapt the CRT system to tablet; the ease of instigating changes, the price; and importantly the support and expertise of the technical staff at KOUNTA . Cons: There is an instability in the system ie the seeming loss of functions such as printing, and the delay in synchronising between tablets. Overall: Overall, I am very happy with KOUNTA and I believe such systems are the future for the hospitality industry. Comments: We have been using Kounta in our cafe for over 6 months and it is fantastic. Easy to edit, easy to use and cost effective. New staff tend to pick it up and are using it without much support within a few days. The access to information is really good and the reporting tools are spot on. Pros: User friendly, easy to use, accessible, great support, great features. Set up was quick to get the system up and running to be able to generate sales, and we haven't had any glitch to date. Cons: There still are some options we're missing, but ideally would like to have. Our products do come with quite a few options, and it's time consuming to browse through those options. As much as it's partly to do with getting used to the system and the how we structure the system, I believe a lot can still be done and made accessible by Kounta to enhance usability. Overall: Already listed in my response. Pros: It is an easy to understand system that a no technical background person can set it up easily. Its features are well thought out which easily enhance the confidence of any front counter staff that use them for the first time. Cons: Every software has its weaknesses, however, it seems that improvements (new releases) are consistent. That helps in this face paced hospitality industry. Overall: Thanks to the great resources and easy to follow guides found in Kounta TV & Kounta Support Setup Videos, I didn't even have to call customer service for tech support to setup my initial kounta program. It was up and running in minutes for me. Pros: Software is super easy and user friendly. We were able to organise the set up all in house saving us money! 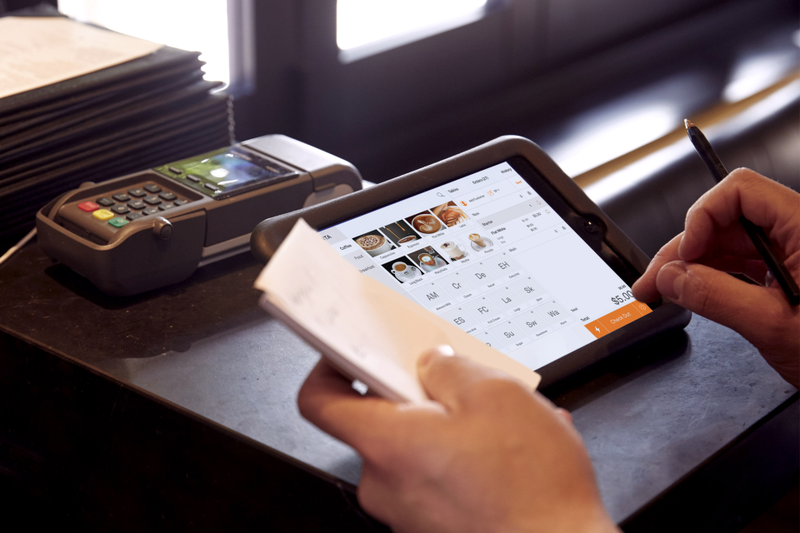 Pros: This is a very easy POS to use, all cloud based so access at any time is a cinch! for a newby in hospitality without any experience setting up a point of sale its been a relatively simple task. The access to support staff is very good however expended communication hours would be a benefit for the busy people who work on this stuff at night time. Cons: Haven't come across any yet! if there is one thing so for it's integrating add on's, seems to be a little confusing! but i'm sure that is largely due to my inexperience. Great to get going with! Pros: Mostly I love the ease of use of the system. Cons: With our spotty wi-fi system, we've had moments of the system not talking to other components such as printers and cash drawers. But not particularly the fault of Kounta. Overall: We were setting up our business and required a system that was not overly complex, could integrate with our systems already in place, would not break the bank and was easy to use. Kounta and it's integrations has answered all of what we required at a fraction of the cost of all other set up. The support has been great and the sale was helpful, not pushy. We're very happy. Comments: Worst POS system ever. I would give zero stars if I could. Service was dismal and a lot of bugs with the program. It seems like the program was half completed when it was released. While it might perform at a satisfactory level when the business is relatively small and not as busy, this software clearly cannot handle when we have over 100 covers per service as there was no bugs during our quieter service period. Absolute waste of money and time. Only consolation I have is that I can use the reuse the hardware with other POS system as it was just iPads and cash register. Little follow up with the problems we had and when they did contact us, 90% of the time they were unable to resolve the issue. We had double prints of orders resulting in wasting and also missing prints of kitchen orders resulting in angry customers and damage to our reputation. If you are looking to get Kounta because it is cheaper, don't bother. We were happy to get rid of it. Pros: Simplicity of the features and simple pricing structure. We were able to view all the reports remotely. Cons: Buggy and full of errors especially during a busy restaurant service. Reports were insufficient and support was also unable to resolve the issues we were having. Cons: Can sometimes reload during transaction but it is very quick. Overall: Having used Kounta for 4 months it is proving it's worth. Running the system on Jiffy Vans it allows me to be able to take card payments linked to an izettle card reader. It is easy to update, has a great range of back office information which can help with menu planning, logistics, cash reconciliation and more. Customers love the set up and are amazed when they see such a system on the vans. With regular updates and good customer support Kounta is now an important tool in my business. Pros: easy to set up, basic steps guides to help you along. Adding photos of products is a great tool to help the staff learn where items are in the till. Cons: Having to wait for a call back - sometimes we need to troubleshoot/fix our problems straight away. booking a call is sometimes for us inconvenient. Cash out with inter grated eftpos is too complicated and does not simplify it for my staff. Overall: quick easy service, with less room for staff mistakes, easy tracking reports & streamline service. Pros: Kounta is simple to use, and mostly easy to configure. Being in the cloud alleviates the need for backups and facilitates easy changing of products or prices from any device any time. Cons: Some functions are a little quirky. There are also some add-ons that should ideally be part of the core product such as more advanced reporting/analysis. Also creating sandpit copies of the company to test a complete redesign before implementing would be advantageous. Fast and efficient service for a complicated roll out. Pros: Data synchronicity of sales and inventory data. Ability to offer a smooth client experience when closing sales transactions in store. Cons: Search functionality not strong enough to meet all the potential uses for search-ability within our code list. This is a factor of our unique category list which is much larger than the average hospitality client. Overall: Time saving, improve the professional profile of the store, reduces administrative burden for sales and support staff. Cons: option sets and variants are hard to get your head around. that whole process of creating a special could be made into a much better user experience/workflow 'i want to make a combo special' - select this, then that, then this for example. The nesting and linking is very hard. Pros: The system is very user friendly and setting up from scratch is easy and quick. Cons: Some features are not very flexible, we use a rule for a discount period but can only select half hopur or hour blocks a user defined option would be great. Overall: I have found the system easy to use and understand, the support is excellent and no question is a problem. When we needed a solution to a question the support went and found the answer then helped us to install the solution.